The accessory to go with any outfit! 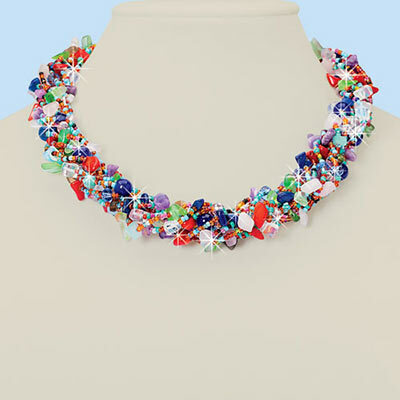 This Pretty Brilliant Beaded Necklace is handcrafted and totally unique! Ten individual strands of seed and glass beads with stone accents. 17"l with 3" extender.